At the heart of intensely foodie Umbria, this ancient hilltop city is largely car-free and a joy to wander around — make sure you visit the Basilica di San Pietro and its splendid Renaissance garden. Perugia is the home of Baci, the beloved hazelnut and chocolate confectionery, and you can take factory tours and visit the museum (perugina.com/it; €9, or about £8), culminating in a tasting session. Still have an appetite? Osteria a Priori (osteriaapriori.it) will fill in the gaps, and you can add shavings of truffle if the budget stretches that far. 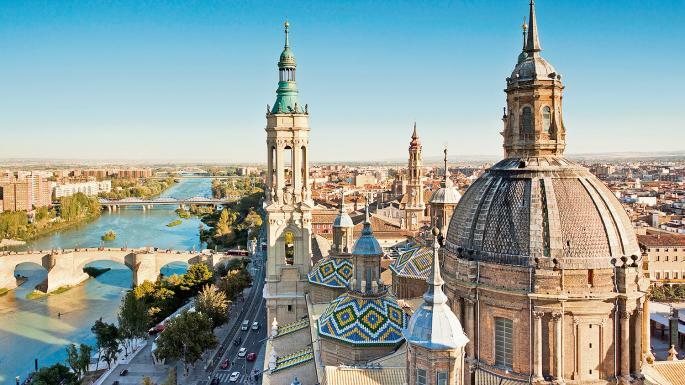 Owing to the Ryanair schedule, you’ll have to make your weekend Thursday to Saturday (or Sunday) to visit this sparkling Spanish city on the Ebro River, but it’s worth it. Zaragoza displays its Roman and Moorish remains with aplomb, but for some reason it hasn’t been on the UK tourism radar. Culturally, it hits all the spots, with castles, cathedrals and a special focus on the painter Goya. Eat at La Migueira, which showcases migas (fried breadcrumbs) and has people queueing out of the door at busy times. Mercado Central (closed Sundays) allows you to stock up on food. Europe’s ultimate crossroads city, Basle is a short tram ride from Germany and France. Everyone who stays in a hotel or guest house gets free public travel from the moment they arrive; your reservation acts as your ticket from the airport. 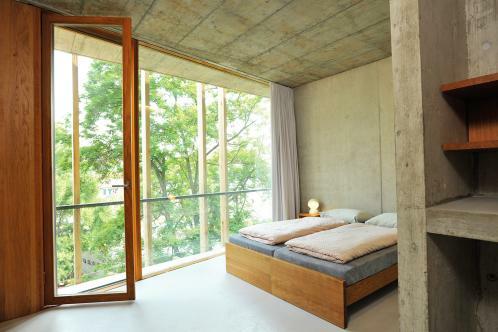 This might be Switzerland, but it’s studenty too, which helps to keep down the costs. The university’s botanical gardens are free to visit, including the tropical house. Chill at the café Zum roten Engel at Andreasplatz for kaffee und kuchen or the Fischerstube (restaurantfischerstube.ch), which is home to Ueli beer. Hitzberger (hitzberger.com), on Aeschenplatz, does healthy fast food. It’s not just a bank, but a city in Cantabria that’s a beguiling mix of playas and palaces. The Museo de Prehistoria y Arqueologia de Cantabria (00 34 94220 9922, museosdecantabria.es; €5) provides the historical context, from World Heritage-listed prehistoric cave art to Santander’s medieval days, and it is free on Sunday afternoons. Brought your wetsuit? Then hire surfboards at Playa de Somo. For sustenance, Asubio Gastrobar on Calle Daoiz y Velarde (00 34 94203 5238) will hit the spot nicely through a combination of rioja and pinchos, the latter starting at about €2. With hiking in autumn and skiing in winter, Bulgaria’s capital city mixes outdoor activities with a cathedral and cobbled streets. Made in Home is a stellar café on Angel Kanchev with mismatched decor that looks as if it’s straight out of Camden in northwest London. It draws on the city’s Turkish and Italian influences rather than its Soviet past, and has dishes from about £6. 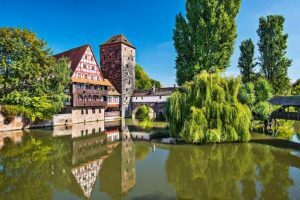 Nowhere in Germany does Christmas markets better than this place, with its castle and old city walls, but there’s plenty to tempt you here beforehand. The old town features the medieval Frauenkirche and is the painter Albrecht Dürer’s birthplace, but it’s juxtaposed with Nuremberg’s more recent history. The vast stadium that housed Nazi rallies is kept deliberately rundown, but the Document Centre showcases some of Germany’s modern history in a sober, informative way. The courthouse, where the postwar trials of Nazi leaders took place, also has a museum attached. A €7 ticket will get you into both, and the elaborate bunker built to protect German art treasures from Allied bombing raids (museums.nuremberg.de). As for food, this is bratwurst central, which won’t break the bank. When the summer crowds have left, Majorca’s vast airport can feel slightly eerie, but you’ll speed through passport checks and have one of Spain’s most underrated cities to explore. 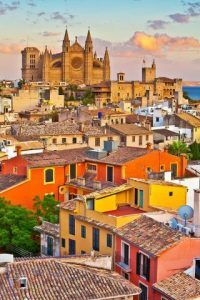 Palma, with its wide boulevards and superior shopping, is a joy in which to roam; Gaudí provided distinctive touches to the cathedral and you can visit Miró’s workshop. Leave time for a lengthy lunch at Celler Sa Premsa (cellersapremsa.com); the lunchtime menu, including a drink, is €12.50. Awash with Roman remains but none of the infrastructure problems of the modern-day Italian capital, Verona offers possibly the most mellow city break in Italy. Grab a bus from the airport and you’ll be able to stroll around the city for the rest of your time. This centre of slow food excellence is awash with glorious cicchetti bars and, thanks to nearby vineyards, the DOC wine is a bargain too. Try La Tradision, near the amphitheatre, where locally produced prosecco flows freely for about €3 a glass, while Hostaria La Vecchia (www.ristorantevecchiafontanina.com) is everything you’d want from a family-run restaurant. Vast portions of polenta cost about €10. When it comes to Croatian cities, Dubrovnik collects all the plaudits in summer, but out of peak season Zagreb comes into its own, with cellar bars and off-beat museums. One not to miss is the Museum of Broken Relationships (brokenships.com; 30 kuna, or £3.50), dedicated to failed romances. There should be enough in the budget to drown any sorrows at Esplanade (esplanade.hr), the former final destination for passengers on the Orient-Express, which now balances fin-de-siècle grandeur with DJs. 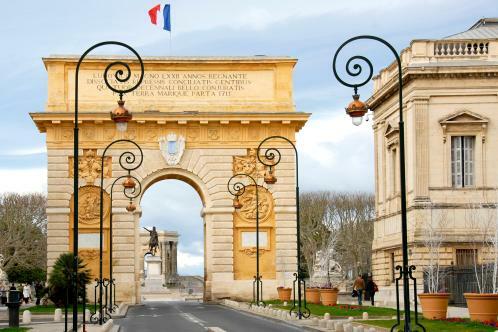 Another arty, studenty Euro gem, Montpellier is close to the Mediterranean coast in southern France and is packed with boulevards, parks and late-night bars. Catch some of the ambience at La Panacée, a contemporary cultural centre (lapanacee.org/fr); there’s also a good café with a communal table for added hipness. On Saturdays everyone heads to the Place de la Comédie for the weekly market, but food is (naturally) important everywhere. Le Pastis, a ten-minute walk from the market (pastis-restaurant.com), does a great set-price menu for €25. Thanks to its medieval centre, there’s a film-set quality to Sibiu. A former EU cultural capital, it has museums aplenty, while the big chain hotels have started to buy up and convert its 19th-century palaces. Above all, visit Astra, Sibiu’s folk museum, which sits in bucolic parkland with its water, historic windmills, houses and churches. There’s also a particularly good restaurant here (mcpt.muzeulastra.ro; £2). Sibiu’s restaurants benefit from its intensely rural setting too; try around Nicolae Balcescu for restaurants and cafés, including Casa Frieda. Due to flight times it’s another long-weekend (Thursday to Sunday) option here, but this city, built around a Viking fishing village, deserves it. OK Mad & Vin (okmadogvin.dk) serves traditional Scandi meals, including open sandwiches for about £4. Leisurely weekend brunches tick all the hygge boxes; try Café Ministeriet (cafeministeriet.dk), where bacon, egg and chorizo, plus juices and healthy(ish) muffins cost 145 krone (£16.90). Indulge your design sensibilities at the Utzon Centre, named after the Sydney Opera House architect (utzoncenter.dk; £6), or hit the lifestyle shops — there are four boutique-filled pedestrianised streets to explore. In the evenings the Aalborg Beer Walk will let you sample six beers each for £14pp (visitaalborg.com). 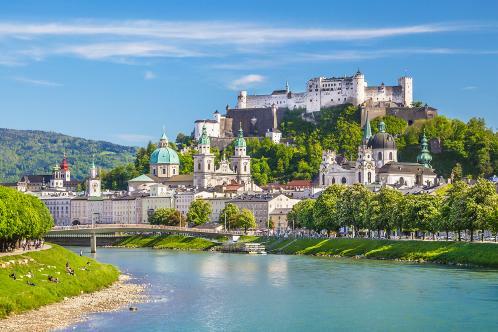 Surrounded by showier neighbours such as Italy and Austria, the Slovenian capital has taken time to hit the city-break circuit. 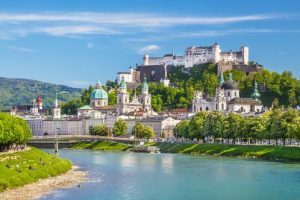 There’s more than enough, though, to Instagram your way through a weekend, including the funicular ride up to the 16th-century castle (ljubljanskigrad.si; €8, including ride) and the twin-towered cathedral. 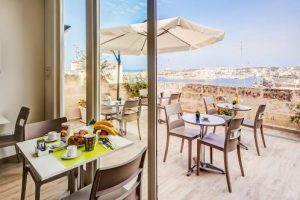 Liberal, with a Mediterranean vibe to lighten its medieval centre, it also has food that more than lives up to that of its neighbours. Close to the cathedral, by a bend in the river, TaBar on Ribji (tabar.si) has more than 30 Slovenian wines and tapas-style dishes to match in a series of white-washed cellars. Come here in autumn and you’ll get all of the multilayered history, and less searing heat. There’s plenty to see, from the catacombs (€8) to the Museo Cappella Sansevero (€7) — but just as enticing is the full, rich street life, with scooter-riding youth, crumbling palazzos and balconies overhung with washing. And then there’s the pizza. Even if you head to the acclaimed La Pizzaria la Notizia (www.pizzarialanotizia.com), you’ll struggle to spend more than €10. And on a package holiday, you can even stay somewhere posh. This is a city that does off-season very well. Stroll along the waterfront, explore medieval walkways and courtyards or take a bus ride to binge on megalith ruins. At Trattoria Vecchia Taranto, an exemplary pizzeria on Saint Paul Street, expect to feast for a tenner, but seating is limited to 15 people. Refuelled, make sure you visit Casa Rocca Piccola, a privately owned 16th-century mansion in the centre of the city (casaroccapiccola.com; €9), and take in Renzo Piano’s new Parliament House, which brings the city’s architecture up to date. In medieval times Gdansk was one of the powerhouse cities of the Baltic; these days it’s one of the prettiest, with elegant fin-de-siècle restaurants and Hanseatic architecture. The beer is good too. Try Brovarnia (brovarnia.pl), a much-loved microbrewery with a very good restaurant; pierogi (filled dumplings) cost £6 and elaborate main courses are £12. There’s plenty of culture as well. The Amber Museum (mhmg.pl; £3) wins on eccentricity, especially because it is housed in the former prison and blends ancient torture implements with precious jewels. Trace the end of the Cold War at the Solidarity Centre (ecs.gda.pl; £4) next to the former shipyard. A mini-Prague with cobbled streets, baroque architecture, ancient churches and rivers, Vilnius is also home to the Jewish Museum (www.jmuseum.lt; €3), where Second World War history comes to the forefront. Don’t miss the Gate of Dawn, a 16th-century shrine that’s impressive at any time of day. Only extreme weather conditions should stop you visiting Europos Parkas (europosparkas.lt; €8). A two-minute bus ride from the centre, it’s a beguiling open-air sculpture park, with a display of 3,000 vintage television sets. It’s all about the sea in this 12th-century city, from the fortress by the harbour to the excellent aquarium. Don’t forget the oyster-filled restaurants and sailors’ bars; for something particularly atmospheric, try La Guignette (la-guignette.fr). 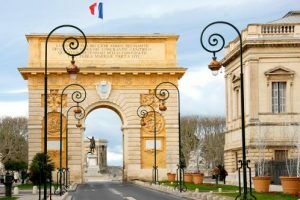 Take a bus across to the intensely chic island of Île de Ré — the Parisian smart set will have packed up for the summer, but its beaches are the perfect place for a very British autumnal stroll. 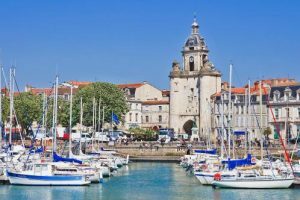 Its boutiques still allow a pleasing search for brocante and breton tops, and of course there are its harbourside restaurants. Preston may be a small city, but it’s definitely one that is worth a visit. 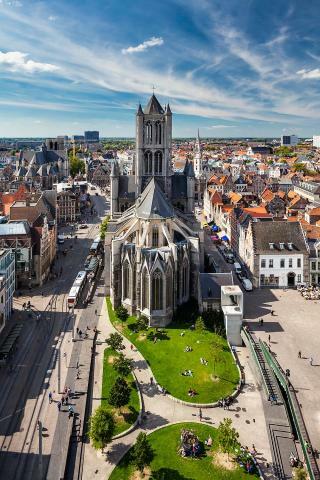 Home to history, culture and amazing architecture, you’ll have plenty to discover during your break. Football fans can experience a stay at The Shankly Hotel Preston and make the most of the city by enjoying everything from afternoon tea and beautiful Victorian parks to one of England’s most fascinating stately homes. ← Eight teas and coffees with silly names: how good for you are they?